In celebration of Hispanic Heritage Month, Voto Latino has partnered with Instagram on a photo campaign that aims to celebrate Latinos and their contributions. The #HispanicHeritageHero campaign asks people to share photos of Latinos they admire and describe how that person has impacted their lives. That can include family members, friends, mentors, community leaders, celebrities and politicians. 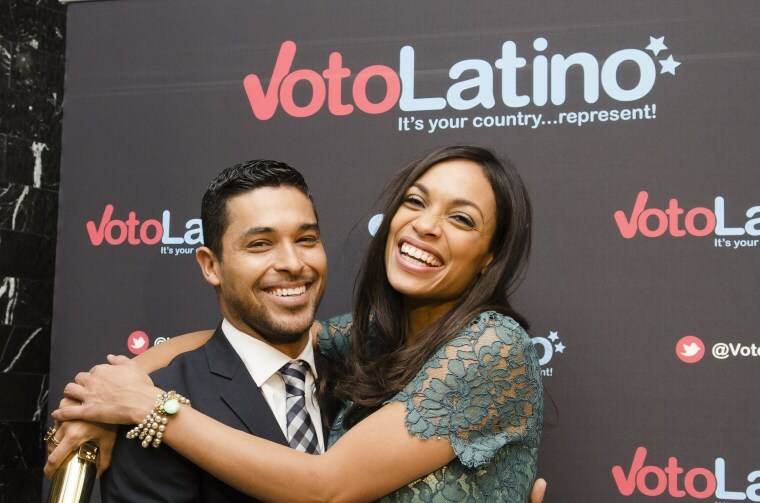 “Photos carry the power of storytelling and we will leverage social media as a way to honor our mentors and heroes,” Maria Teresa Kumar, president and CEO of Voto Latino, said in a statement. Meanwhile, Lilly Wyden, public policy manager at Instagram, said in a statement that Instagram is “thrilled to collaborate with Voto Latino” on this campaign. The campaign is part of Hispanic Heritage Month of Action, an initiative launched by Voto Latino and partners to encourage civic participation and voter registration throughout Hispanic Heritage Month, which lasts from Sept. 15 to Oct. 15. Some have already taken to Instagram to post photos of their Latino heroes using the hashtag #HispanicHeritageHero. Some have posted photos of their loved ones. One Instagram user posted a photo of her dad. Others have posted photos of celebrities, like Selena, Wilmer Valderrama, Gloria Estefan and Emilio Estefan.